Let’s not forget hiking! and camping! It’s such a central part of going to an overnight summer camp in the mountains of North Carolina. There are so many amazing forests and woods around you, and there are so many trails to explore, long-range mountain views to discover, and streams to tramp— you just gotta do it. 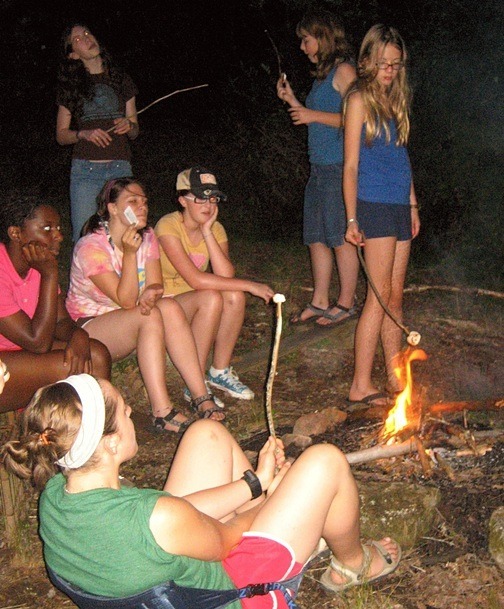 When you go hiking out of camp, you can also look forward to sitting around a campfire, eating a yummy dinner (yes, everything does taste better when it’s cooked outdoors! 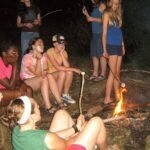 ), and everyone’s favorite, making s’mores. Don’t be surprised if after your first hiking trip, you want to turn right around and go out again.